Wines from Israel take for most of us the coat of kosher wines exported to Europe and America to suit Jewish wine drinkers’ religious needs. Yet, winemaking in modern Israel is not only about making drinkable kosher wines, but also striving for the best quality and contesting even the top wine-growing regions on the world. Sadly, not all the best Israel has to offer is being exported though, so these wines remain undiscovered even for out-of-the-ordinary seeking wine connoisseurs. 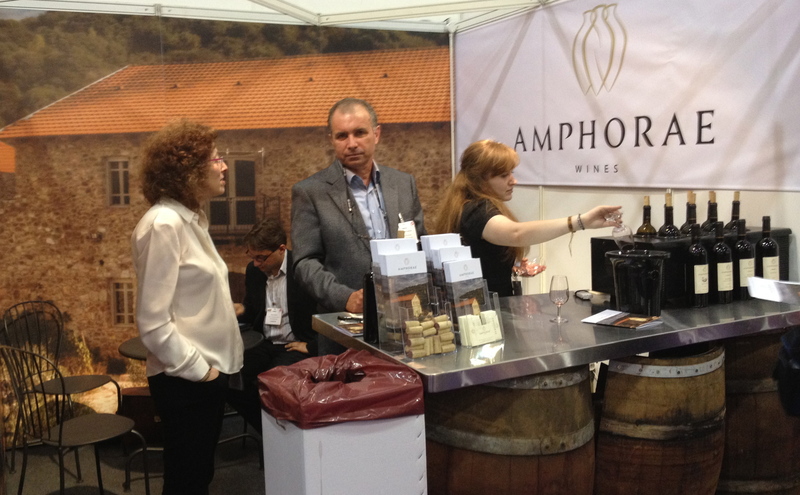 The Amphorae Wines makes intense red but also experiments with some white wines, which have not been released yet. The winemaker is one of the most distinguished personalities in his field in Israel – Dr. Arkady Papikian. As I mentioned since 2009 also Michel Rolland adds his magic consulting touch to create wines that sell. Makura is the highest range under the Amphorae label. I have tasted three blends of Makura, all 2007 vintage. First Makura, a blend of Cabernet Sauvignon, Merlot and Syrah was the highest in alcohol (15.3%) adding the power to the wine. Very concentrated red and dark fruit with velvety tannins offset the alcohol. In this vintage the Syrah is the most prevalent from all the grapes in it and it shows on the nose with a seductive smell of violets. Aging in new French oak barrels for 36 months helps to round up the wine so it is well mature when released. Long finish with sweet pinch makes it highlly enjoyable wine to be drunk on its own or with rich dishes and meat. Makura Merlot Barbera, where Merlot dominates and Barvera adds natural acidity so no tartaric acid is needed as aditive. The wine indeed had the highest acidity from all I have tasted from Apmphorae (7.05 g/l). Again the wine was aged for 36 months in French oak barrels, most of it new. Black currant on the nose shows off the fruit and proves that there is still lots of fruit flavor left in the wine matured for so long time in barrels. 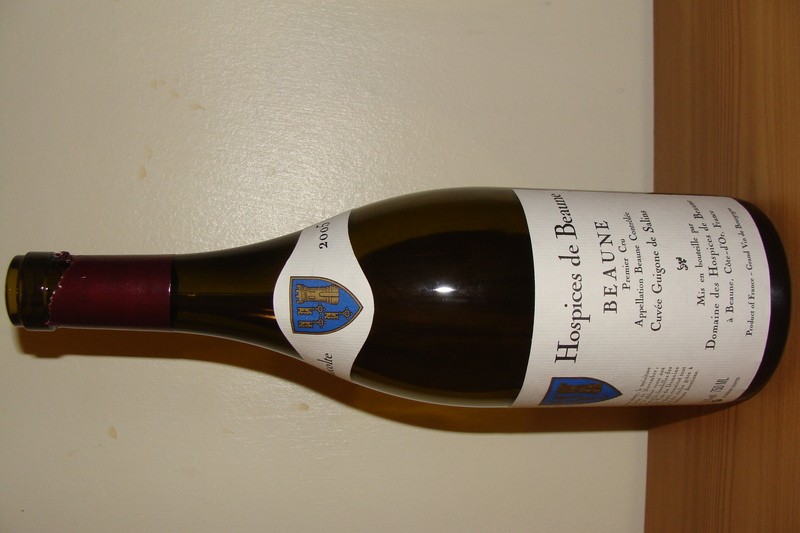 It is fresh (acidity), fruity and has a robust and round body. 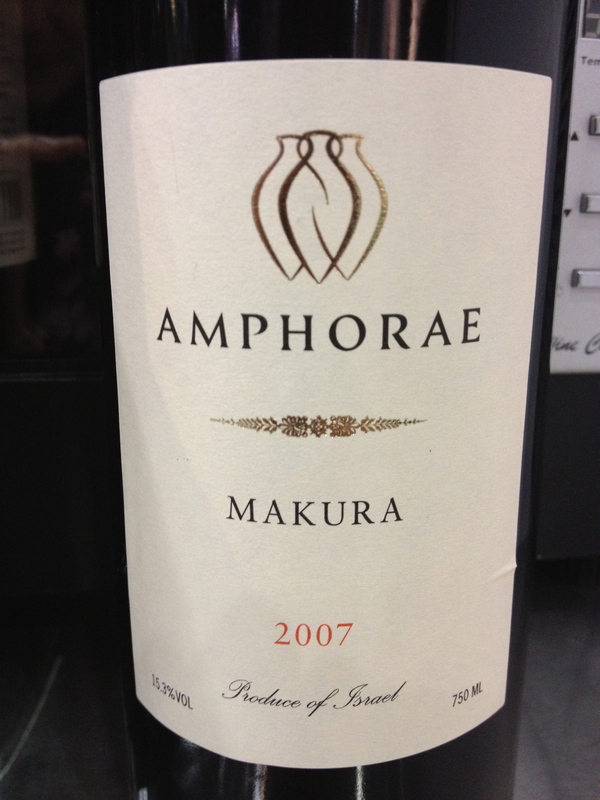 Makura Cabernet Sauvignon is according to the winemaker the Amphorae’s best wine. He said about this wine: “It is like a child – beautiful and strong.” Beauty is a subjective feeling, but I definitely agree with the strength I see in all of his wines. The grapes for this wine come from high-altitude Jerusalem Hills (900m) and Manara (650m) assuring freshness and the right ripeness of these grapes. Again aged in new French oak barrels for 36 months and 12 months in the bottle prepares this big wine for the palates of drinkers. High concentration of fruit, high acidity and refreshing tannins do not predict a shy wine. It is a big boy who likes coffee accompanied with earthy aromas. Rhyton is the winery’s second wine. The winemaker was a bit hesitant about it, but there was no reason. It was not as good as the Makura wines, but surely cheaper and enjoyable. It can be consumed as soon as it leaves the winery after 24 months old in oak barrels and 10 months bottle aging. The 2008 vintage had quite tight tannins disclosing the need for longer oak aging for the Amphorae wines as that could round them up. It is juicy with fresh black currant taste, A slight sourness and dry finish call for some food to be eaten with it. I would go for something less sour and acidic and rather a delicate or meaty dish. Overall, I was positively surprised by these Israeli wines. Always in search for something new and unexpected, my craving has been sated. You would expect something like this anywhere in France or in Italy, but in Austria? I had heard about the outstanding collection of wines from all over the world from many people living in Vienna before, but I always dismissed it thinking – yeah, we have heard this, everything that is in my city is the best, as I caught myself in stereotypes. It is useful for me to study psychology as it made me realise that stereotypes are sometimes blocking us from experiencing something new. Therefore I decided to see this “unbelievable cellar”(as one wine loving taxi driver called it when taking me from the airport). The wine cellar at Palais Coburg is a must see for every wine enthusiast or even for a curiosity seeker. I have made a short video there so have a look. I am sure after seeing this you will pack your suitcase in a minute and head for a weekend in this charming Austrian capital. Sideways: Wine can make great movies! The director Alexander Payne (Election, About Schmidt) perfectly showed off his wit again. Sideways is a movie which could be a wine tasting guide for beginners as well as an abs straining exercise from laughing for 121 minutes of the full length of the film. At the beginning you may thing that Miles (Paul Giamatti) is a bit a weird guy. Though, indeed, he is. His strange relationship to women after his divorce will be defeated only because of his passion for wine. All the barriers he had dissolve once he gets closer to a woman fascinated by wine. If you think that Miles is a bit spooky, than his friend Jack (Thomas Haden Church) is a typical man beast. As he tours California’s wine country with Miles before his wedding he becomes obsessed by seducing a woman. His near zero knowledge about wine will flourish after he gets absolutely crazy about a woman working at a winery. They are having the time of their life. Tasting wines, laughing and loving! But, this idyll has to come to the end as Jack’s secret is disclosed. Anyone who has my phone number and wants watch this movie, please, just text me or you GET IT AT HMV for only £5! If you don’t have any plans for weekend yet, pop into one of the Nicolas wine shops and get a £15 ticket to this wonderful event! Finally, it is free as you will get a £15 coupon to spent on wines at Nicolas stores all over the UK when you get to the event. The wine part takes off on Saturday at 12.15 with Castles wines and cheese moving later to Wine & spirits and chocolate at 2pm. The venue for the fair is at The Royal Horticultural Halls, Lindley Hall, Everton Street-SW1P 2PE. I will be there, so hopefully see you all!